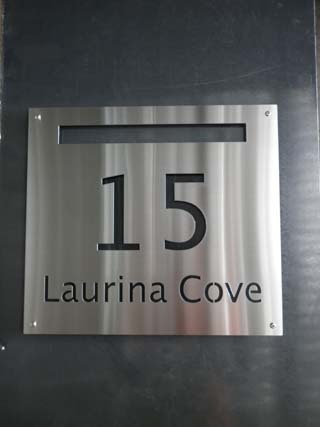 Mailbox Front Plate Letterbox front plate  - $239.00 : Letter Box King, Best value letter boxes and lettering! 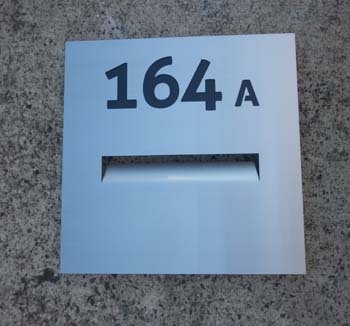 Marine grade mailbox front plate made from marine grade stainless steel. 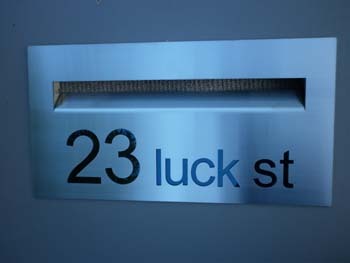 The numbers or letters are laser-cut into the plate. 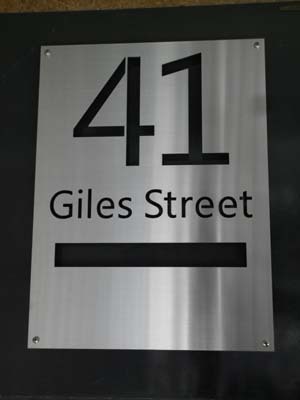 We supply black colorbond which can be installed behind the sheet.